25 years? 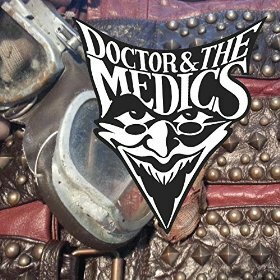 Without a brand new Doctors and the Medics single? How could that be? How did the world survive! No fear, we know that the world needs us and we are BACK with brand spankin’ new music! Out now is our take on Dead Or Alive’s “You Spin Me Round” (Like A Record). Yes, we do it Medics style! You can download the song at Amazon, ITUNES and all those fancy download sites! Get your copy today. You will be glad you did… and be sure to come see us sing it live at one of our gigs!